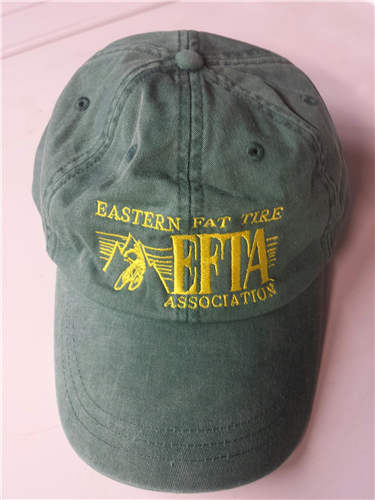 **SOLD OUT** We inherited a number of high quality EFTA ball caps from the previous [+more] leadership. We're selling them for supah cheap so that you get a wicked good deal and we get some cash to put back into the community. Adjustable rear strap (leather, or it looks like it). SHIPPING INCLUDED IN THE PRICE! 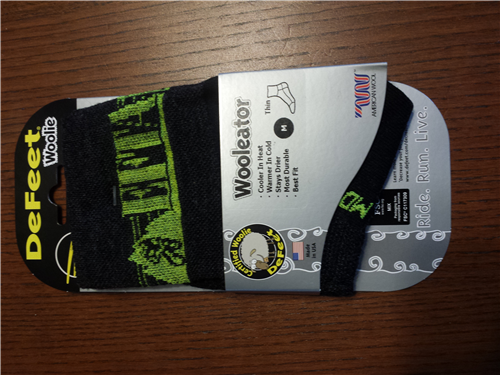 We inherited a number of DeFeet Wooliator EFTA Socks from the previous leadership. [+more] We're selling them for supah cheap so that you get a wicked good deal and we get some cash to put back into the community. Small - Woman 6-8 & Youth/Men 5-7 (green heel) Medium - Woman 8.5-10.5 & Men 7-9 Large - Woman 11-13 & Men 9.5-11.5 64% Merino Wool - 28% Nylon - 8% Elastic SHIPPING INCLUDED IN THE PRICE!